It’s amazing that you were able to make something on such a scale with new methods. Mizuta-san, why do you think you were able to create such high density without the game falling apart? Once a week, we held a leader meeting. I think having such occasions was one big factor. And Wakai-san and I participated from the sound team. We didn’t just discuss the progress of development, but also picked up all kinds of new information, so it was really helpful. The reason we could pass on correct information to the staff who joined partway through was because we had such opportunities to exchange information. Even as the team grew large, you were able to communicate effectively. Yes. Another big factor was how in addition to gaining information, we were able to convey the state of affairs with regard to sound. Well, I do think the leader meetings were very important, but the contents of the game changed daily, so in order to adapt to those changes I was walking around asking about the game all the time. I thought that was all there was to do. That’s exactly right. Then it isn’t long before my intuition kicks in. And not just me, but the whole landform staff was walking around. If the placement of enemies changed just a little, the way to make the landforms might change a lot. Ah, I see. That’s different from Mizuta-san’s impression because you needed to take different approaches from how he created his sounds. I think so. Even a small change might mean that those in charge of the landforms had to make an incredibly big change, so I always had to keep my ears pricked. It’s such a big project that changes were bound to occur somewhere while you weren’t looking, so if I got even a little suspicious or uneasy, I would go ask about it right away. And rather than wait to hear about it, I tried to check things out by taking what was done and actually testing and playing it. You wanted to check with your own eyes. But no matter how spirited you might be, it’s quite difficult to keep your concentration across a period spanning almost five years. How were you able to do that this time? I think there was extremely positive mutual reinforcement, whereby we thought, “That person is making something super cool, so I’d better work hard too!” There was an atmosphere of helping each other out if anyone ran into trouble. Yes. 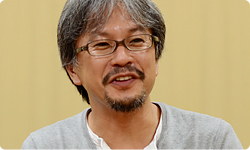 (looking at Aonuma-san) Thanks again for that. Sometimes you made unreasonable demands, and sometimes you let things slide, and when it came down to something important, you backed us up. I feel about the same way that everyone else does. First, we prepared a list of who was in charge of what area to stick with to the end. Each section had its own designer working as a designer, but sharing information across sections developed naturally, which I think is great. And are you satisfied as a director? I think we were able to keep such a big project together because the game world this time is structurally simple. We talk about all these “dense” places, but structure-wise there are only four - forest, volcano, desert and sky. It’s such a big project, so there were lots of teams, and everyone concentrated on their own work, but each individual staff member working on the four worlds shared with the others a sense that this Legend of Zelda game would be amazing, and that led to completion. I believe so. If the world had expanded too much and the areas to be worked on had been larger, no one might have been able to keep up and development might have collapsed. But we focused on four worlds this time, so we were able to dig deeply into each one. Each person had his or her own position. That’s right. I feel like being able to do that may be what was most different this time compared to making previous Legend of Zelda games. I see. 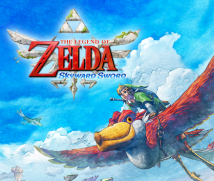 That’s one reason why, asking about The Legend of Zelda: Skyward Sword, I felt like it is incredibly dense. 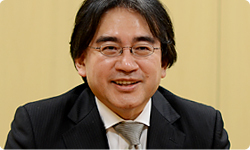 Well, this is the last session of “Iwata Asks” covering the different stages. 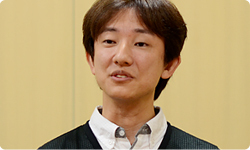 Starting with Iwamoto-san, I would like each of you to mention something on behalf of all the developers for the sky and town to the fans. Okay. I think everyone has a strong image of The Legend of Zelda games that involves adventuring through game fields and dungeons, but we made the sky and town that we have talked about this time with an image of Link coming back from his adventure, taking some detours, and strolling around wherever he likes. We made a lot of stuff for it, so I hope players will come back, talk to all kinds of townspeople, and enjoy conversing with them. What about the Loftwing that you worked so hard on? precise movement of the wings, the feeling of soaring through the air, and the feeling of buoyancy , so please experience that to the fullest. Fujibayashi-san, we have now introduced the four stages. Is there anything you would like to say to our readers? While each of the four stages has its own density, we really polished this up into something with distinct tastes that you can really sink your teeth into, so please enjoy the flavour you like. The more you sink your teeth into them, the more flavour comes out. That’s right. As you come and go many times, you will make new discoveries. 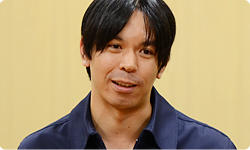 Hisada-san, you worked on the landforms. Do you have anything to add? Yes, a lot, but we worked hard to make a fantasy world that would be enjoyable and easy to comprehend. As someone who worked on the landforms, I would be thoroughly pleased if players wander all over and experience the atmosphere of the distinctive areas. I see. 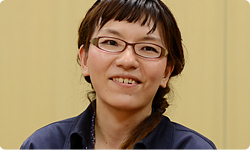 Mizuta-san, you worked on the sound. If you would, please. Okay. As one who worked on the sound, we recorded an orchestra this time, so I want players to enjoy the impact of the live sound. Personally, after getting to be present for the recording, I poured even more strength into the production so as not to lose out against the soundtrack. We also tried to imbue the sound with a playful spirit right up until the end so as not to lose out to the developers working on the other components. Please play it thoroughly and to the very end. It feels as if we mastered various fields for a deeply satisfying dish. The three great world cuisines - or so I’ve heard - are Chinese, French and Turkish, but - as if to add Japanese food to that list - I hope players will eat their fill of these four delicious game fields! Each one tastes different, but they are all rich. Well, we can’t knock out dense games like this all the time, so I hope lots of people will try it out. I really think so, too. Our discussion today reminded me of how incredible it is when many unique staff members come together, putting all their energy behind the single goal of making something great. Thank you, everyone.